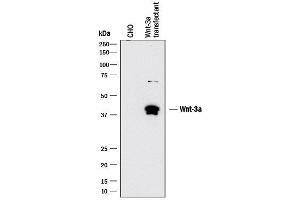 Detection of Mouse Wnt-3a by Western Blot. 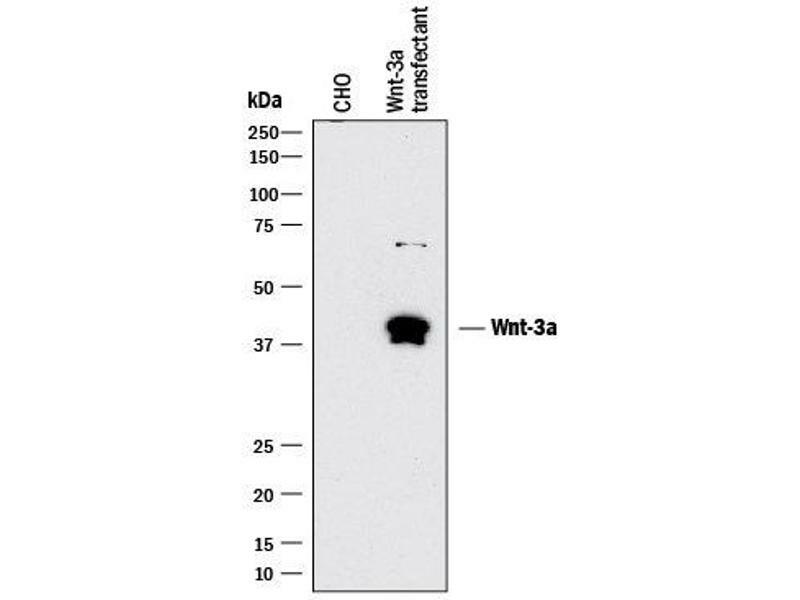 Western blot shows lysates of CHO Chinese hamster ovary cell line either mock transfected or transfected with mouse Wnt-3a. PVDF membrane was probed with 1 ug/mL of Rat Anti-Human/Mouse Wnt-3a Monoclonal Antibody. This experiment was conducted under reducing conditions. 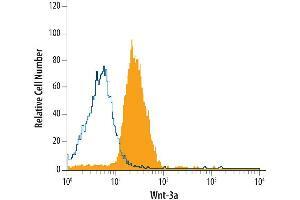 Detection of Wnt3A in BG01V Human Stem Cells by Flow Cytometry. BGO1v human embryonic stem cells were stained with Rat Anti-Human/Mouse Wnt-3a Monoclonal Antibody. 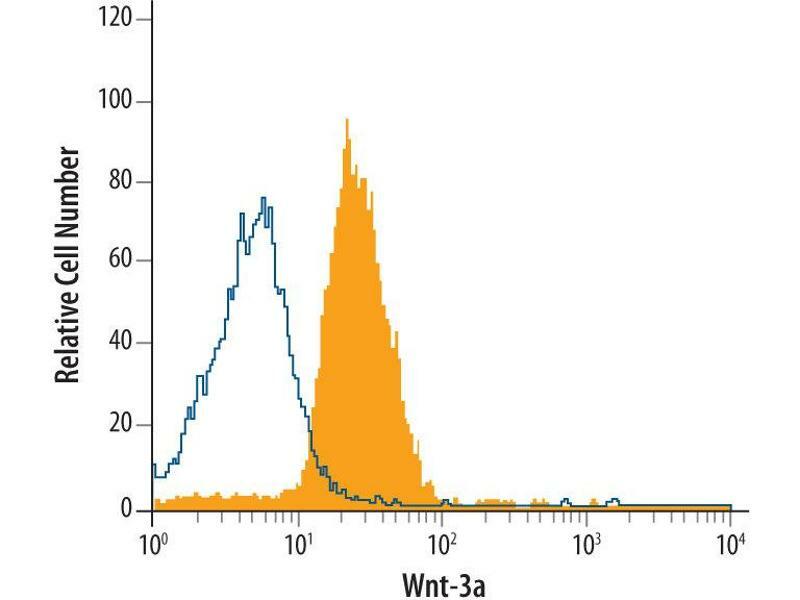 Specificity Detects mouse Wnt-3a in direct ELISAs. We develop rat recombinant antibodies by converting our hybridoma cell lines. These antibodies will appeal to you if you are using a hybridoma cell line, but would like an off the shelf recombinant antibody. Rat recombinant antibodies provide the ultimate in consistency. The sequences of all our rat recombinant antibodies are known and proprietary.